1. How do I register my real estate, i.e. how do I get a property certificate? 2. I have a possession list, and it is not recognized as a valid document that proves ownership over my property. What is the difference between the possession and the property certificate? 3. What is the legal deadline for acting on a submitted application for registration? 4. Why doesn’t AREC do work in the field of operational geodetic practice, and this work is done by private surveying companies? 5. Does AREC perform controls over the work of the private surveying companies? 6. Where can I report cases of bribe taking and corruption against the staff of AREC? 7. Where could I get information for what documents are required for getting cadastral services? 8. What is sporadic real estate rights registration and what documents are required for that? 9. Why doesn’t the cadastre do survey? 10. Can a Property Certificate be issued in Skopje for property that is in another city? 11. Where can I get information about the procedure for privatizing land? 12. Does the cadastre implement a procedure for deleting the right to land use that is noted in a property certificate? 13. Who should submit an application for registering a building built based on the construction – technical documentation, the client who carries the real estate right or the Municipality (the Department for Construction and Urbanism) that issues the construction permit? 14. Can the Municipality submit an application for registering land which was not registered in the systematic registration procedure – not displayed, ex officio? 15. Where can I report dissatisfaction from the work of the private surveying companies or sole proprietors? 16. Where can I report dissatisfaction from the work of the staff of the Agency for Real Estate Cadastre? 17. After finalizing the legalization of illegally built buildings, which documents are required to register the building in the real estate cadastre? 18. Can I submit an application for registering a change in a property certificate in the dispersed offices of the Agency for Real Estate Cadastre that are in the municipalities Kisela Voda, Cair and in the Cadastre Head Office in Avtokomanda? 19. Can I search i.e. view cadastral parcels in the whole country online? 20. What is the difference between a manuscript and survey cadastre? 21. Which documents are required to do a physical division of an object – apartment, house, office space into two or more residential units? 22. What is the difference between a preliminary certificate and adding notes to a property certificate? Question: How do I register my real estate, i.e. how do I get a property certificate? Answer: In order to prove that you own real estate (land, house, apartment, office space…), you must have a property certificate in which your real estate is registered. Registering real estate rights is done by the Agency for Real Estate Cadastre (AREC), through the Real Estate Cadastre Center – Skopje and 29 Real Estate Cadastre Branch Offices throughout the country, it is done ex-oficio – systematic registration procedure (free of charge) and upon your request (with charge). The free of charge registration procedure is simple: all you need to do is answer the public announcement published in the daily press and view the data regarding your real estate at a certain time, date and location and bring all documents to prove your right to ownership. They are: an agreement (for purchase, for gift, for lifetime support and for dissemination of property while living); a court order, a settlement or an inheritance ruling; a complete construction-technical documentation, a deed, etc. The documents you show as proof of ownership for registering your right must be an original or a photocopy verified by notary. After viewing the documents, if they are complete and correct and there are no legal obstacles, your property will be registered in the real estate cadastre. If, for any reason, you have not responded to the public announcement and missed the chance to register your property in the real estate cadastre free of charge, and you wish to register it so you can have a property certificate, you can do that by filing an application and paying a certain fee – set with a Price List, to which you will attach the complete documentation that proves the right to ownership and a geodetic survey report for registration, made by a private surveying company. Answer: You should call the free telephone line - 0800 80 800, a number on which the citizens can report corruption and point out the clerk that requested bribery of them. Caller discretion shall be guaranteed. In this way we encourage the citizens to help us find all attempts at corruption. Question: What is sporadic real estate rights registration and what documents are required for that? Answer: Sporadic registration (individual registration) is made for real estate in cadastral municipalities in which there is no REC established, i.e. the land cadastre is still in force. The required documents for registration are: - written application, - administrative stamp fee of 50 denars; - proof for having paid the fee of: • 500 denars for one cadastral parces, • 150 denars for one individual object in the parcel, • 500 denars for an apartment in a collective building, • 1250 denars for one office space unit, - legal basis for registration and a survey report. The number of the account that you need to pay the fee on for this service from AREC you can get at the information counter in AREC’s branch office or on our website in the field ‘How to get to our services’. Question: Can I submit an application for registering a change in a property certificate in the dispersed offices of the Agency for Real Estate Cadastre that are in the municipalities Kisela Voda, Cair and in the Cadastre Head Office in Avtokomanda? 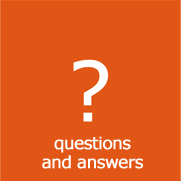 Answer: An application for registration or for change in a property certificate can be submitted to the REC Center Skopje, and an application for issuing a property certificate, verification for a historical overview of the registration (verification for movement), a copy of a cadastral map, identification of a cadastral parcel and verification whether a certain person owns or does not own property, can be submitted, besides the REC Center Skopje, in the dispersed offices of the Agency for Real Estate Cadastre that are in the Municipalities of Kisela Voda, Cair and in the Cadastral Head Office in Avtokomanda. Real Estate Cadastre Agency of the Republic of Macedonia. All rights reserved.